Home / Entertainment / Will the festival turn things around? Will the festival turn things around? The expectations revolving around the package of films to be released during the festive week hardly matches the performance of films as a whole in 2017. With the exception of Praktan, there is not much else to inspire confidence. There is so much mediocrity and worse being relentlessly marketed that questions are raised on whether the satisfaction drawn from numbers is good enough. It is in this depressing climate that about half a dozen films will be coinciding with the celebrations. There was a time when the sheer presence of stars was a major attraction during the pujas. Bengal has long ceased to produce actors who can influence results regardless of the impression left by the film. One can recall a film like Fariyaad, which even Suchitra Sen admirers wouldn’t count among her best. Similarly, Uttam Kumar figured in films like Dhanraj Tamang and Roudrachhaya, which are better forgotten. However, these films managed to sail through on the strength of Bengal’s most enduring screen faces. If no such salvage operation can be expected in the present scenario, there is a silver lining. The Bengali cinema has witnessed a virtual invasion of directors who have moved from other professions. 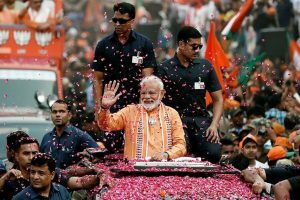 Some of them have entered the scene from other states, even abroad, with hopes of bringing about a change in popular conventions. To that extent, Kamaleswar Mukherjee, a director with a degree in medicine, has succeeded with films like Meghe Dhaka Tara and Chander Pahar. Now Cockpit is set to roll a few days prior to the arrival of the goddess. With a mainstream cast headed by Dev and Koel, the director may be hoping to rise above the disappointment of Khwatoand moving away from the challenges of interpreting the unpredictable qualities of Ritwik Ghatak in Meghe Dhaka Tara. He had left a major impression in Chander Pahar, which was shot in the difficult terrain of Africa with Dev as the protagonist but the sequel, Amazon Obhijan, has been held back for reasons that are difficult to explain after the resounding success of the earlier film. But Cockpitholds the possibilities of adventures in the air that are common in Bollywood but have not been depicted on the Bengali screen so far predictably on account of budget constraints. What will be watched is whether the technical team can pull off the visual excitement that is an integral part of Mumbai’s widely acknowledged professional achievements. What the festival does have in store is an abundant dose of thrills. Dev’s home production has been cooked up with all the resources at his command. On the other hand, Anjan Dutt is ready to storm the screen with his sixth edition of the adventures of Byomkesh. The last story was a rehash of Satyajit Ray’s treatment of Chriyakhana. It perhaps didn’t work as well as Anjan’s earlier depictions of the Saradindu Bandopadhyay detective. 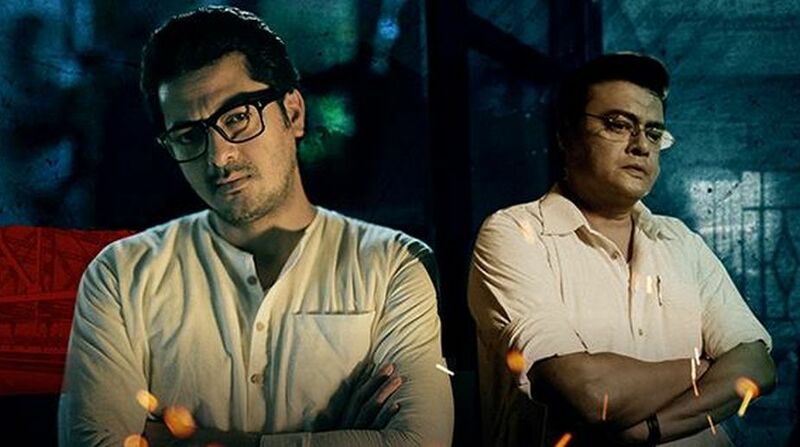 This time with his usual flair for interesting initiatives, he has combined a couple of stories in Byomkesh O Agnibaan retaining Jisshu Sengupta as the sleuth and Saswata Chatterjee as his assistant Ajit. While others have handled Byomkesh taking advantage of the popular response, the detective seems to move more comfortably in the world that Anjan Dutt creates with a touch of his own in what has become an annual ritual. The major challenge to Anjan Dutt will come from Srijit Mukherjee’sYeti Obhijan. This has been adapted from Sunil Gangopadhyay’s widely read Kakababu series and is a sequel to Mishar Rahasya. After the crushing disappointments of Srijit’s last few films, he would be hoping that this attempt to unravel the mystery of the snowman with the resourcefulness of the uncle-nephew team would bring him better dividends. It has been shot in Switzerland and India and has Prasenjit again playing the protagonist. But it is anyone’s guess whether or not the hot pursuit of the mystery with all the attention to detail that Srijit brings to his work will be drowned in the excess that the festival will be offering. To that extent, the audience could turn to the harmless pleasures of a comic drama in Projapati Biskut that traces the desperate efforts of a young couple to survive the pressures of middle class conventions in old Kolkata. The director, Anindya Chatterjee, who did unexpectedly well in his maiden effort, Open Tee Bioscope, will again be on familiar ground in the north Kolkata environment that he knows so well. But what raises further expectations is the refreshing prospect of seeing new faces in a realistic setting after they have been suitably tuned to the film’s contemporary spirit. It will inevitably be reinforced by the musical devices that come easily to the Bhoomi co-founder who has moved well and truly into the world of films. The surprise is that the film is presented by Shibaprasad Mukherjee and Nandita Ray. They are responsible for directing perhaps the only major success this year, Praktan, which spoke of relationships surviving after the pangs of separation. The film they have produced holds the expectations of returning to the days of tender exchanges without making it look dated. In a broader context, there would be nothing more satisfying than the possibility of the festival package as a whole turning things around.